As a business owner, you know how important and beneficial it is to outsource your logistics needs to professional international freight shippers or a trustworthy freight forwarder. However, if you are only looking for the best way to optimize your business, this blog post will help you make the right choice. After all, whether you need to ship fine art, electronics, or any other items in large quantities, you need extra help from a reliable shipping service in the USA. 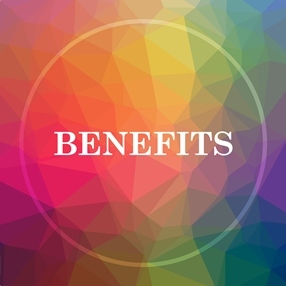 So what are the main freight company’s benefits that can be useful for your business? 1. Reduced risks. One of the most important freight company’s benefits is that shippers take responsibility for the entire process of transportation, thus reducing your financial and labor risks. 2. Global network. International freight shippers have established relationships with global providers and a vast network of resources to offer the most efficient and reliable service possible. 3. Cutting-edge technology. If you have a small business, most likely you do not have all the required technology and equipment to quickly organize the safe shipping process, but international freight shippers do. 4. Optimization. As it has been already said, optimization is one of the most important freight company’s benefits for any business, so do not miss a chance to make your own company more effective. 5. Accompanying services. In addition to the very process of transportation, a freight shipping company will also take care of all your storage, packing, and crating needs. 6. Experience. While working with a professional freight shipping company, you will gain experience that will help you make your business more powerful. 7. Innovation. Expert international freight shippers can offer you a smart solution to any of your shipping problems and solve it in the most innovative way. 8. Partnership. It is always better to have reliable partners in different spheres of your business, and a freight company should definitely be among them. 9. Cost efficiency. Working with professional freight shippers has proven to be the most cost-effective way to deliver goods safely and securely to anywhere in the world. 10. Time-saving. Finally, one more important freight company’s benefit is that experienced shippers will save you lots of time so that you could spend it on growing your business instead of executing daily logistical tasks. Now that you know the major freight company’s benefits, you understand why so many people outsource their logistics needs to professional freight shippers. Hopefully, this will help you make the right choice for your business!